The Senior Traffic Commissioner’s statutory guidance document on finance has been amended to reflect the new rates. 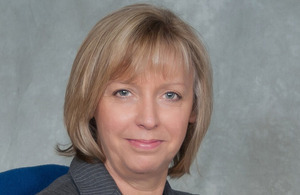 The Senior Traffic Commissioner for Great Britain is Mrs Beverley Bell. There are 7 traffic commissioners in total, covering Scotland, Wales and 6 regions in England. Details of each traffic commissioner can be found on GOV.UK. Heavy goods vehicle (HGV) operators and operators of public service vehicles (PSVs) and local bus routes must be licensed. The traffic commissioners’ role in this licensing process is essential to deliver safer roads, fair competition in road haulage and passenger transport, reliable and convenient public transport, and to help preserve the environment. All traffic commissioners are statutorily independent licensing authorities responsible for bus, coach and goods vehicle operators and for local bus service registrations. They can also take action against the vocational entitlement of bus, coach and lorry drivers who commit road and certain other offences. Traffic commissioners have the power to revoke, suspend or curtail an operator’s licence to operate commercial vehicles and to impose a condition limiting the number of vehicles authorised on licences held by bus and coach operators, if they are satisfied that the operator is failing to comply with its licence obligations such as failing to maintain vehicles in a fit and serviceable condition or failing to observe the drivers’ hours’ rules and tachograph regulations. Action can also be taken against public service vehicle operators who fail to operate local bus services properly or in contravention of the registered particulars. Traffic commissioners have the power to cancel or restrict local bus services, or to impose a fine if services have not been operated, or operated improperly, to a significant extent. Traffic commissioners rely mainly on evidence from VOSA but also from the police, local authorities, and the public to decide whether an operator is fit to hold a licence, or of good repute. Public inquiries are judicial in nature and are called where concerns have been raised about the financial standing, professional competence or good repute of operator licence holders and where there appears to be a breach of any condition previously applied to the licence. Traffic commissioners can also consider environmental concerns expressed about the location of (or operations from) the applicant’s operating base. Where concerns are raised about a lorry, bus or coach driver’s behaviour or actions – or evidence is submitted about convictions or other serious misdemeanours – commissioners will consider whether to take action against the driver. Commissioners have the power to revoke and suspend a driver’s entitlement and are also tasked with considering all applications for HGV and PSV vocational driving licence entitlements. Drivers can be called before a commissioner to consider evidence relating to their driving standards and previous conduct.